Many New Zealanders aged over 60 years have personal stories to tell about polio. Friends in callipers and wheelchairs, family members who died. Schools and swimming pools closed and public gatherings banned as epidemics swept the county. Polio, or poliomyelitis to give it it’s full name, is a virus that is spread from person to person, typically through contaminated water. There is no cure for polio but there are safe and highly effective vaccines to prevent the disease. The vaccines were invented in the mid-1950’s and their widespread use in our country is the reason why today, children don’t even know what polio is! Matamata Rotary is in the heart of the Waikato’s dairy farming region and always looking for ways to support their local community. One way we have been able to do this is to support the work of the Waikato-Hauraki-Coromandel Rural Support Trust. The best in potato growing gathered for the annual Spud in the Bucket competition. Growing methods were unveiled when Rotary Matamata held its weigh in for the annual Spud in the Bucket competition. The competition is a fundraiser for the service group, with funds going towards health and youth initiatives in the community. At Rotary Matamata we have a dream that Matamata will one day have a walkway that goes around the whole town. We have for many years worked towards this. In 2015 we established the Peria Road Reserve Memorial Grove and planted 100 kahikatea trees to commemorate 100 years since the First World War. On 14th February 2018 we opened the adjoining section the Stanley Farm Lane walkway. Read the full story, courtesy of the Matamata Chronicle. Early in June four year 10 Matamata College students headed to Glen Murray for a weekend Rotary Youth Programme of Enrichment, or RYPEN. RYPEN is designed to grow young people, providing them with the opportunity to work in teams with people they had never met before and learn some goal setting skills. 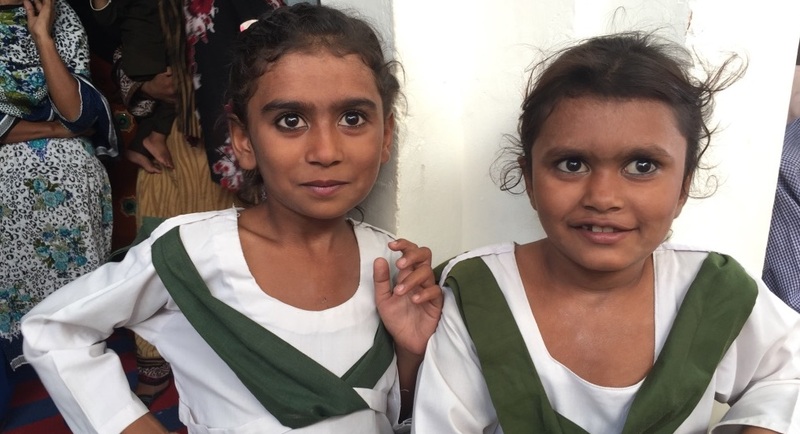 In 2017 Rotary Matamata worked with Rotary clubs from Pakistan, India and USA and a local family trust to provide classroom facilities (furniture, blackboards, book shelves), create additional rooms (library, computer lab and a classroom) and renovate existing classrooms (adding floor tiles, wall plaster, ceiling, doors) for a school funded by the Rotary club of Jhang Saddar, Pakistan. Dog attacks in New Zealand have risen steadily over the last ten years reaching nearly 11,000 in 2016. We know many of the victims are children. So, when Rotary Matamata were asked if they would be interested in purchasing books for primary schools and kindergartens designed to teach children about keeping safe around dogs Public Image Director Krishna Narayanasami immediately saw the potential of the project. "Come as you are. Do what you can."